Have you seen Les speak? Leave a review. Despite not having any education beyond high school, Les Brown decided that he would “do whatever it takes to achieve success” to take care of himself and his dear adoptive mother. He has distinguished himself in whichever field he has chosen to work, moving from being a DJ to a broadcast manager, community activist to community leader, political commentator to triple term State legislator in Ohio and from master of ceremonies at banquets and nightclubs to one of the most noted Keynote Speakers in the world, addressing audiences up to 80,000 people. 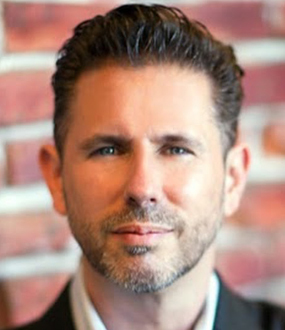 He has been invited to speak to Fortune 500 companies and many prestigious organizations across the globe. Just three years after becoming a full-time speaker (backed by his own company, Les Brown Enterprises Inc), Les Brown was awarded the Council of Peers Award of Excellence by the National Speakers Association, their highest honor. His show “You Deserve” on PBS won a Chicago area Emmy and has been used as a model for fundraising by PBS stations across the USA. 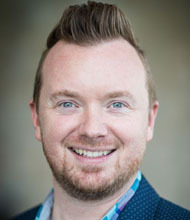 Toastmasters International have chosen him as a top five speaker of the year, and he has been awarded the Golden Gavel, the highest award for excellence of the International Convention of the National Speaker’s Association. Always looking to give back, Les Brown has offered his coaching services to many of the most successful young speakers in the USA. His books Live Your Dreams and It’s Not Over Until You Win were very well received by critics and public alike, as was his nationally syndicated daily television talk-show, focusing on solutions rather than problems, The Les Brown Show. Les Brown is a top Motivational Speaker, Speech Coach, and Best-Selling Author, loving father and grandfather, whose passion is empowering youth and helping them have a larger vision for their lives. Brown’s straight-from-the-heart, high-energy, passionate message motivates and engages all audiences to step into their greatness, providing them with the motivation to take the next step toward living their dream. His charisma, warmth and sense of humor have impacted many lives. Les Brown’s determination and persistence searching for ways to help Mamie Brown overcome poverty and his philosophy “do whatever it takes to achieve success” led him to become a distinguished authority on harnessing human potential and success. Les Brown’s passion to learn and his hunger to realize greatness in himself and others helped him to achieve greatness in spite of not having formal education or training beyond high school. 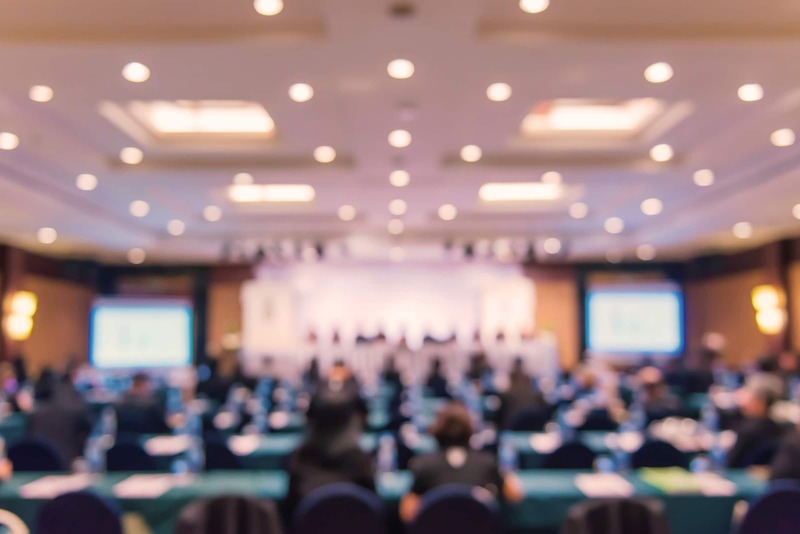 In 1989, three years after entering the public speaking arena on a full-time basis and forming his own company, Les Brown Enterprises, Inc., Brown was the recipient of the National Speakers Association’s highest honor: the Council of Peers Award of Excellence. In 1990, he recorded his first in a series of speech presentations for the Public Broadcasting System. In 1991, the program entitled “You Deserve” with Les Brown, was awarded a Chicago-area Emmy and became the leading fund-raising program of its kind for pledges to PBS stations nationwide. In 1992, he was selected as one of the year’s Top Five Outstanding Speakers by members of Toastmasters International. Brown has also been honored at the International Convention of the National Speaker’s Association with the organization’s most prestigious award for excellence in the field of communication and leadership: The Golden Gavel. As a caring and dedicated Speech Coach, Les Brown has coached and trained numerous successful young speakers all over the nation. Brown is also the author of the highly acclaimed and successful books, Live Your Dreams and It’s Not Over Until You Win, and former host of The Les Brown Show, a nationally syndicated daily television talk show which focused on solutions and not on problems. Les Brown talks of the tragedy of lives lived without potentials fulfilled. He tells his audience, “The wealthiest place on earth isn't where there is oil in the ground, it isn't in South Africa where there are diamonds in the ground, it's in the cemetery, there you will find talent and genius and potential never actualized." Challenging his audience to look at themselves and decide if they are really being what they wanted to be, he says, “What if you lived your whole life and it's wrong? What if you were meant to be something else and you didn't do it? Repeat after me please, live full, die empty!" Extolling the virtues of living life to the full, Les Brown asks, “The question is, if you died today, what dreams, what ideas, what talents, what books, what music, what voice will die with you?" 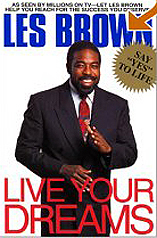 Les Brown offers high-energy presentations that are informed from his personal experience and drive his audience to reject mediocrity and embrace their potential. He encourages audiences to find their hunger, saying that without it the desire to achieve simply fades away. Preaching a message which is very much one of self development, Les Brown is a believer in acting what you want to be; in his own life he decided he wanted to be a DJ and so assiduously practiced mimicking announcers, got a job as a janitor in a radio station and eventually was broadcast manager and commentator. Les Brown demonstrates to his audiences that there is a larger vision of themselves that they can turn to; there are abilities, talents and strengths which they have not even begun to tap into and which have the potential to transform life in all its aspects. No matter whether Les Brown is speaking to a group of high school students or corporate executives, his effect on the audience is the same. "People cannot come and hear me and walk away the same. They cannot go back to the same old safe, unmotivated, don't care person anymore," he claims. His high energy message is rooted largely in personal experience and tells people how to shed mediocrity and live up to their potential greatness. 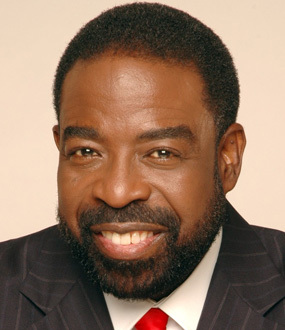 A former state legislator and television show host, Brown is author of the highly acclaimed book Live your Dreams, and President of his own speaking and training firm, Les Brown Enterprises, Inc. 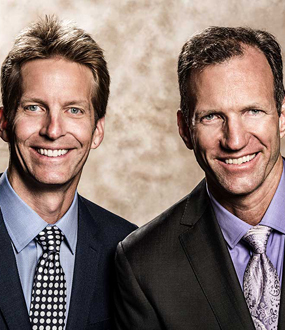 In 1992, he was selected as one of the year's Top Five Outstanding Speakers by members of Toastmasters International. This year he will be honored at the International Convention with our organization's most prestigious award for excellence in the field of communication and leadership: The Golden Gavel. Brown epitomizes the image of a self-made man. Born into poverty and abandoned by his parents when he was just six weeks old, his life has been the quintessential tale of struggle and overcoming adversity to reach self-actualization. From his youth, Brown was told that he would not amount to anything. Teachers mistakenly labeled him a "slow learner," leaving him with low self-esteem and a determination to prove them wrong. Brown knew it was not his own talent and intelligence that was missing, but rather the ability of those around hi to recognize and draw out those qualities. Thus, he has dedicated himself to helping others recognize their potential and reach higher levels of achievement. "My mission is to get a message out that will help people become uncomfortable with their mediocrity. A lot of people are content with their discontent. I want to be the catalyst that enables them to see themselves having more and achieving more." "You've Got To Be Hungry"
Brown says the main force behind his own success was his hunger to learn and passion to push himself. "If you want to make it in life, you've got to be fearless and unstoppable. You've got to make up your mind that nobody is going to stop you." Set a goal and believe that goal is possible. Brown says the key is to work on developing yourself — to develop a personal vision. Early in his career, Brown's dream was to be a disc jockey. So he began listening to the radio religiously, practicing techniques and mimicking announcers. Soon he got a job as a janitor in a radio station in Columbus, Ohio, and worked his way up to become a deejay and eventually a broadcast manager and commentator. "You've go to start thinking of yourself in the future and see yourself there," Brown insists. "Practice Doesn't Make Perfect It Makes Improvement"
"We'll never hit a state of perfection, but we're always practicing improvement," Brown says. "Develop A Larger Vision Of Yourself"
Brown reminds his audiences that they have abilities, talents and strengths they haven't even begun to reach for — and if they don't they'll live to regret it. "We have always had leaders who say, 'I will do this for you.'" he explains. "What we have not done is turn people on to themselves, turn people on to the unlimited power they have within themselves." Brown, an up-and-coming motivational speaker, a.k.a. The Motivator, here offers his personal growth message in print. Once labeled educationally mentally retarded, he has been a sanitation worker, disk jockey, activist, state legislator, and night club emcee. Through his “Nine Principles of Life Enrichment,” he proposes that anyone can succeed by stoking the fires of hunger for a dream. Brown′s belief in our responsibility for our own success at times suggests a Pygmalion complex. Some of what Brown says can be found in a slightly different arrangement in Stephen Covey′s 7 Habits of Highly Successful People (LJ 3/15/90), Richard Gillett′s Change Your Mind, Change Your World (LJ 7/92), and Gilbert Brim′s Ambition (LJ 2/15/92). Having participated in four PBS specials, Brown may be familiar to many patrons. Public libraries should have this title in their self-help sections. In It′s Not Over Until You Win, Brown offers a powerful and inspirational plan to help people overcome any obstacle in their lives and to attain whatever they want. Illustrated with thought-provoking examples and exercises, this book enables readers to determine and live by a set of values, experiment with failure as a formula for success, take life beyond set limits, and more.